Think you know a lot about smart speakers? Let’s test your knowledge. Only one speaker can connect to your Google account, check your calendar and allow you to add new events. Is that speaker a.) Google Home or b.) 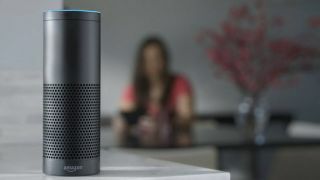 Amazon Echo? If you guessed Google Home, you’re a logical, intelligent human being. If you guessed Amazon Echo, you’re twisted, illogical and, well, also right. In a seriously strange series of events, Amazon recently patched Echo devices to work even better with Google Calendar, now allowing you to not only to check your calendar but to add new events to it, too. This isn’t something Google has enabled the Home to do, despite owning the entire end-to-end ecosystem. To create a new event, make sure your Google account is tied to your Echo and simply say “Alexa, create a new event”. Alexa will prompt you for the date and time of the event, as well ask for a name to label the event on your calendar. Ask Google Assistant to do the same thing and it responds “I’m sorry, I can’t add events to your calendar yet”. Amazon 1, Google 0. While Google Home can’t do much with your Google Calendar (or Gmail, Drive, Docs, Maps, Voice account, Alerts, Chat, Trends or Google Plus), it can at least differentiate between different voices – something that Echo currently can’t do. While both devices support multiple accounts, Google Home can detect which voice is speaking and tailor results to that person. It also allows you to add up to six accounts on a single device, which is pretty handy in larger households. Still, none of that makes up for the incompatibility its own first-party services – a huge failing, and one we didn’t shy away from criticizing when we reviewed the Home a few months ago. But, that being said, Google IO is coming up and it's likely to hold a few surprises for the Mountain View company's smart speaker. Google Home vs Amazon Echo: Which speaker is right for you?